I voted for “Nobody” for every office: judge, district attorney, supreme court whatchamacallits, treasurer, sheriff, etc. I cast straight-ticket libertarian for university trustees, for whatever that’s worth. Doesn’t the University of Michigan need a libertarian Regent? I don’t know. 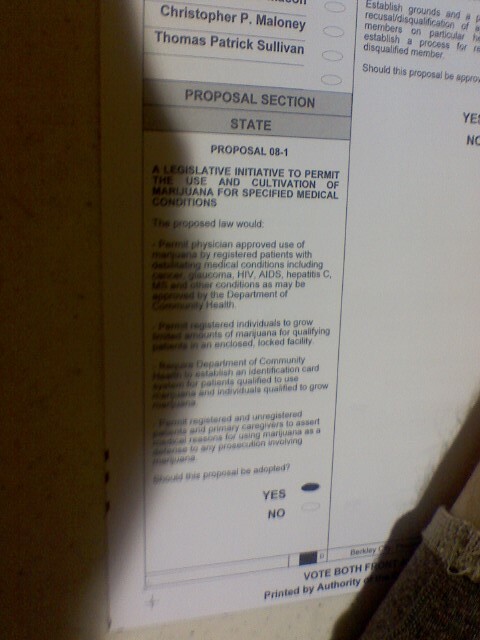 I voted in favor of Proposal 1 to legalize the medicinal use of marijuana since it appears to be strictly a cause of decriminalization and does not (on its face) appear to empower any individual, politically. I am well aware that the Feds will continue to knock down the doors of 80-year old cancer co-ops. 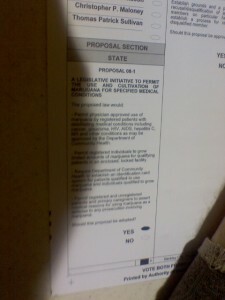 I did not weigh in on Proposal 2 (a measure pertaining to stem cell research). I am not against stem cell research, but I am against taxpayer subsidies for anything, and it looks like Proposal 2 mandates taxpayer subsidies. Seriously. What’s wrong with just not making things illegal? I’m not sure why things so often appear to come down to the “subsidize” vs. “criminalize” debate. There is one exception to what is otherwise pretty much a null ballot. 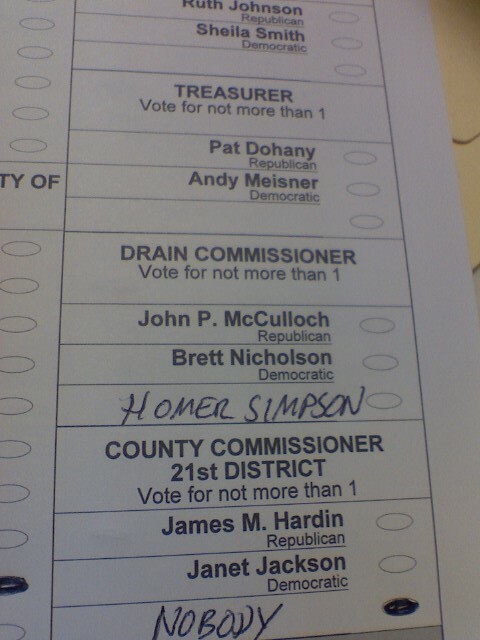 If there is a “Homer Simpson” in Oakland County, he will be pleasantly surprised to learn he received at least one vote for the position of County Drain Commissioner. INFIDEL! APOSTATE! EXCOMMUNICATE THE HERETIC! CRUCIFY THE BLASPHEMER!!!! Seriously, “Drain Commissioner”? People compete for that? 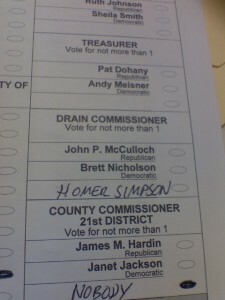 You shouldve voted for Homer Simpson for Sanitation Commissioner or was that not an option? 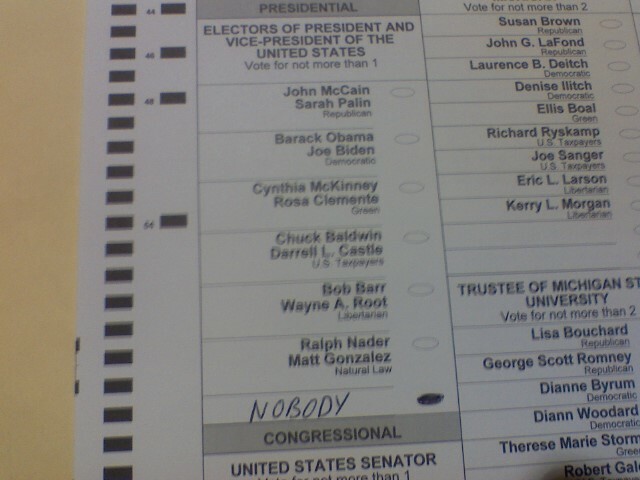 I didn’t vote “nobody” but I did write in Ron Paul. I even took a photo of it.